Winston Churchill's deep understanding of British history and his love of self-government enabled him to keep the people's interest at heart during wartime. 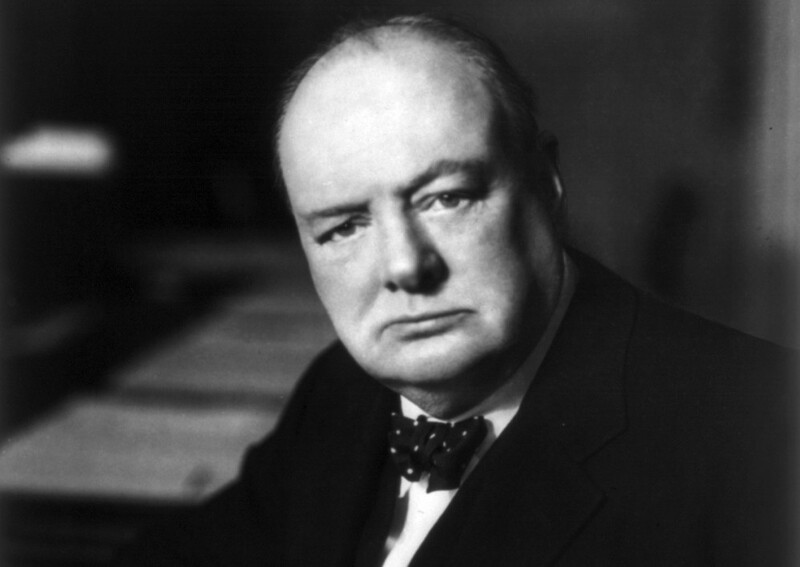 In the third lecture of Hillsdale College’s free online Winston Churchill and Statesmanship course (which you can take along with me here) college President Larry Arnn explains the forces and influences that shaped Churchill’s military mind. His deep understanding of British history and love of self-government enabled Churchill to keep the people’s interest at heart during wartime. Churchill thought the United Kingdom’s greatness was the result of two things — the unification of the island, and the passing of power from the king to parliament. Churchill also believed England’s geographic location gave the country a huge advantage. The English Channel, which is only 19 nautical miles wide at its narrowest point, provides separation from the continent of Europe. But this aquatic separation is not so vast as to make England irrelevant from Europe’s affairs. Once Britain became a naval superpower, its path to conquering parts of the world– both known and unknown– was inevitable. The island nation was able to easily defend its people from oncoming attacks while exploring and trading abroad without putting a strain on its defense forces. In a biography on his ancestor, John Churchill, the first Duke of Marlborough, Winston Churchill writes that having a capable military mind that understands strategy requires a bit of genius. It’s this touch of genius that seems to have smiled upon Winston during his tenure on the battlefield and in the bunker below the streets of London. Despite his reputation as a heroic soldier, Churchill was afraid of war — especially modern war, which he saw had the potential to destroy life as the world knew it. He thought modern wars were too costly, as they left everyone –winners and losers — exhausted and broken. In his role as a member of the House of Commons, and later as prime minister, Churchill believed in having a hands-on role during wartime to ensure that the generals commanding the forces had the interests of the English people at heart. In “The World Crisis,” Chuchill’s six volume account of World War I, he wrote that the politics of a nation drove the way it fought in wars and negotiated in diplomatic exchanges. Life at home determines maneuvers on the battlefield. Churchill admired the U.S. Constitution for the role it gives the president in a military capacity. He thought giving a duly elected person the singular role of commander in chief streamlined the operation and ensured that the people were represented in wartime. But he worried that the executive branch of the government, and specifically Franklin Delano Roosevelt, who was occupying the Oval Office at the time, was gaining too much strength. Churchill believed war ought to be avoided as much as possible, and that force should always be a last resort. When a diplomatic approach fails, ramp up arms by gaining strong allies to intimidate one’s enemy into turning away from war. As a result, he embraced the idea of a collective group brokering peace among nations and viewed the United Nations as an entity that could potentially keep conflicts at bay. Ultimately his approach — to defeat Nazis no matter the cost and reject talks of peace from a country that had annexed and oppressed numerous other European nations over the past decade — won. To this day, the world lives free of Nazi rule thanks in part to Churchill’s unique genius.